Astra RV & Self Storage has been in operation since the early 90's. The facility was purchased in October 2010, by Gary & Tracey Hirdler, of Chino Hills, CA. Gary is a retired Firefighter and Paramedic, having served thirty-three years with the Los Angeles City Fire Department. 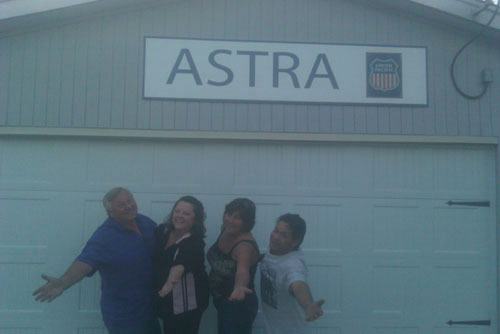 ABOVE: Astra is a family owned and run business. Shown above, L to R: Owners Gary & Tracey Hirdler, sister and brother-in-law, Cindy & Tony Padua, Resident Assistant Managers. 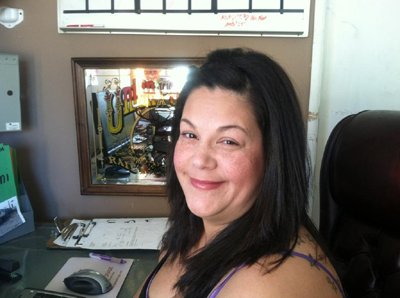 BELOW: Niece, Amanda Hernandez, is our full time Office Manager, and with her family also the 24/7 Resident Managers.